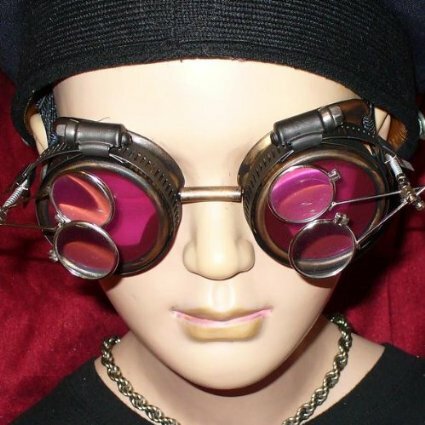 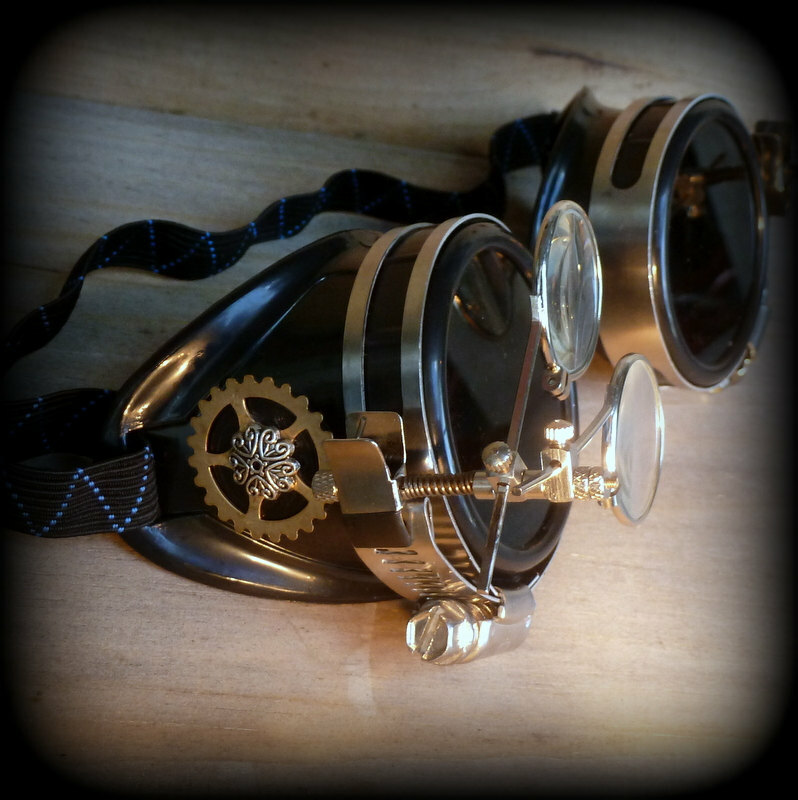 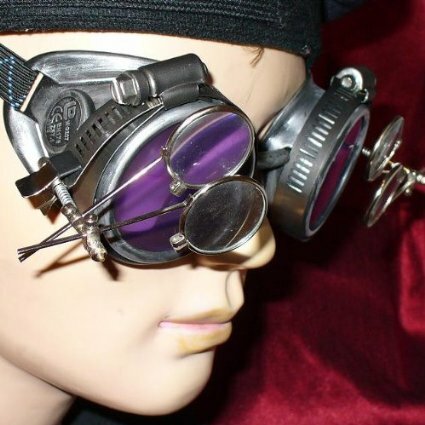 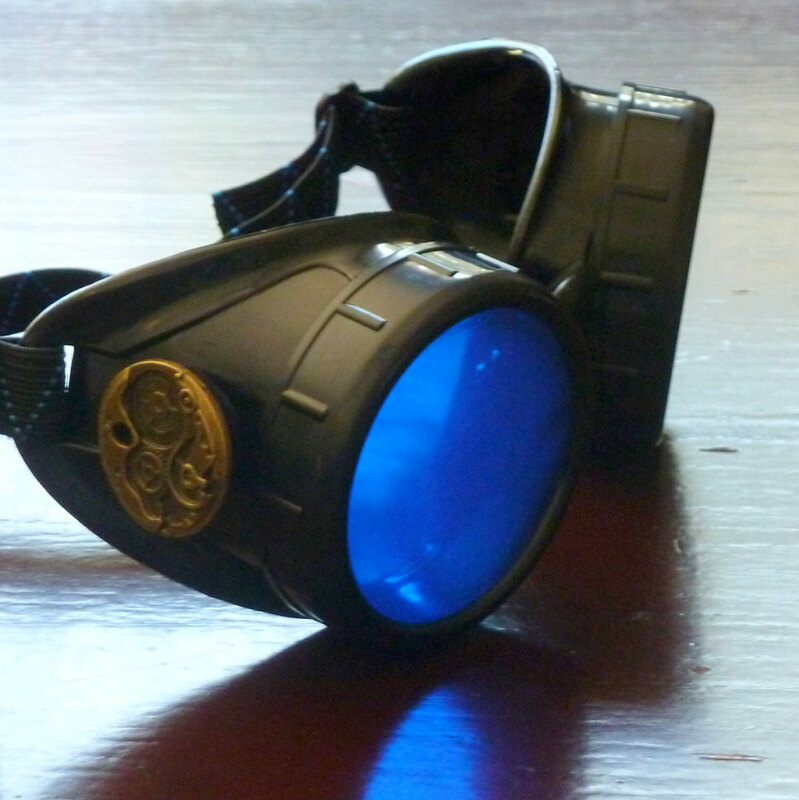 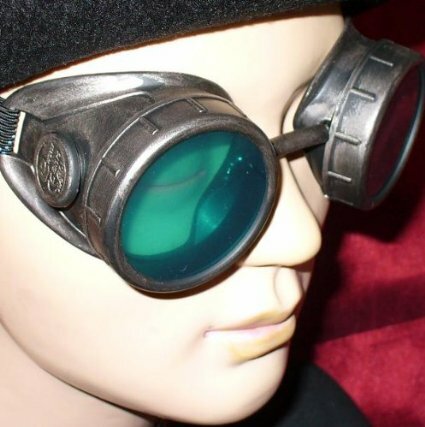 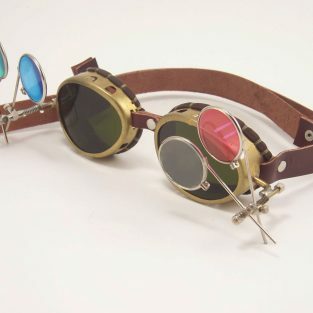 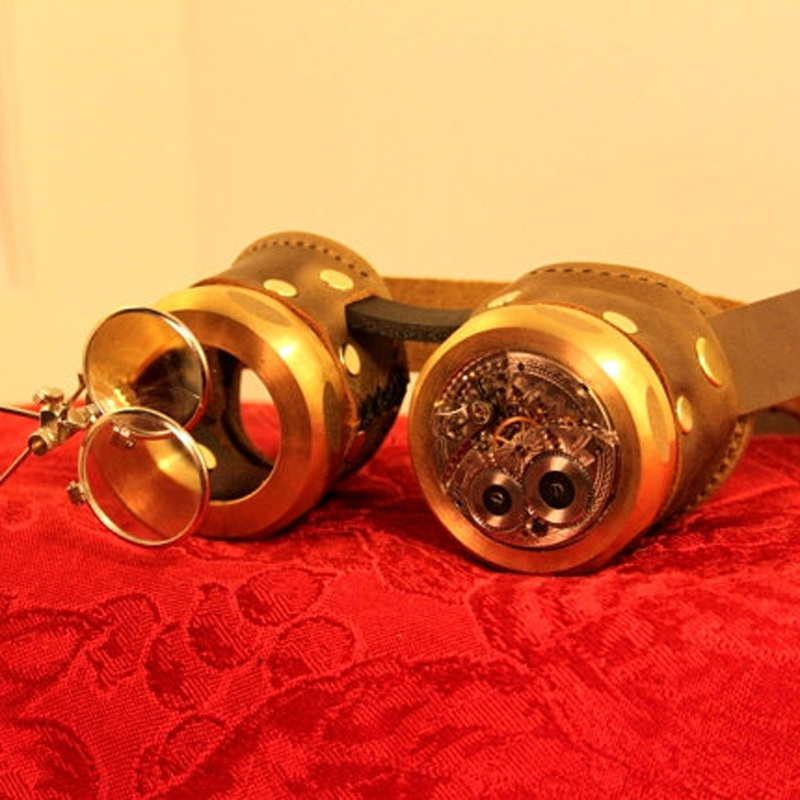 These awesome goggles with double magnifiers are a delightful accessory for anyone into steampunk. 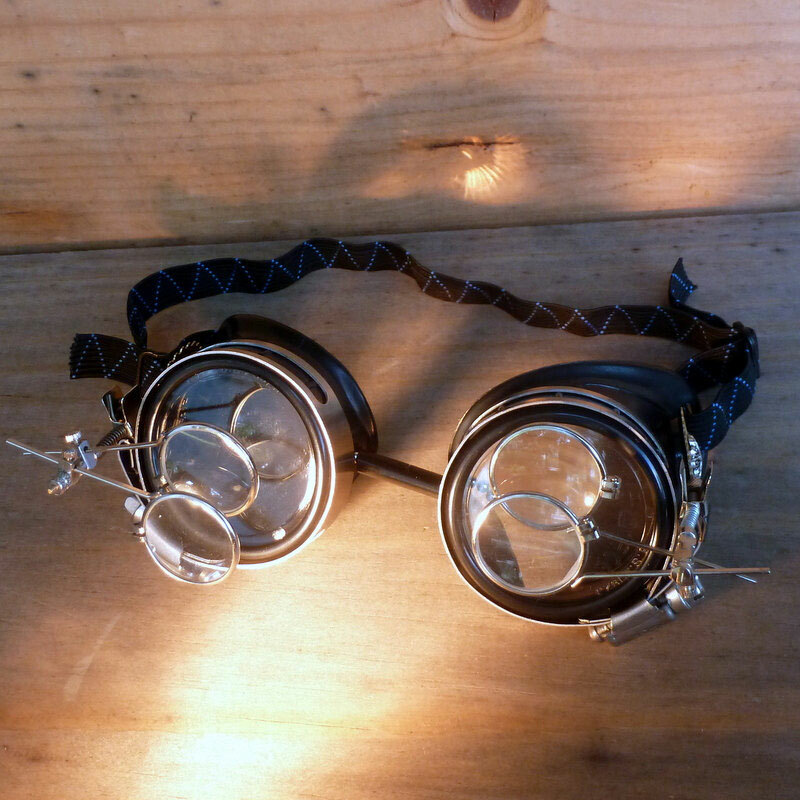 The comfortable elastic strap plus removable magnifiers make this a great conversation starter. 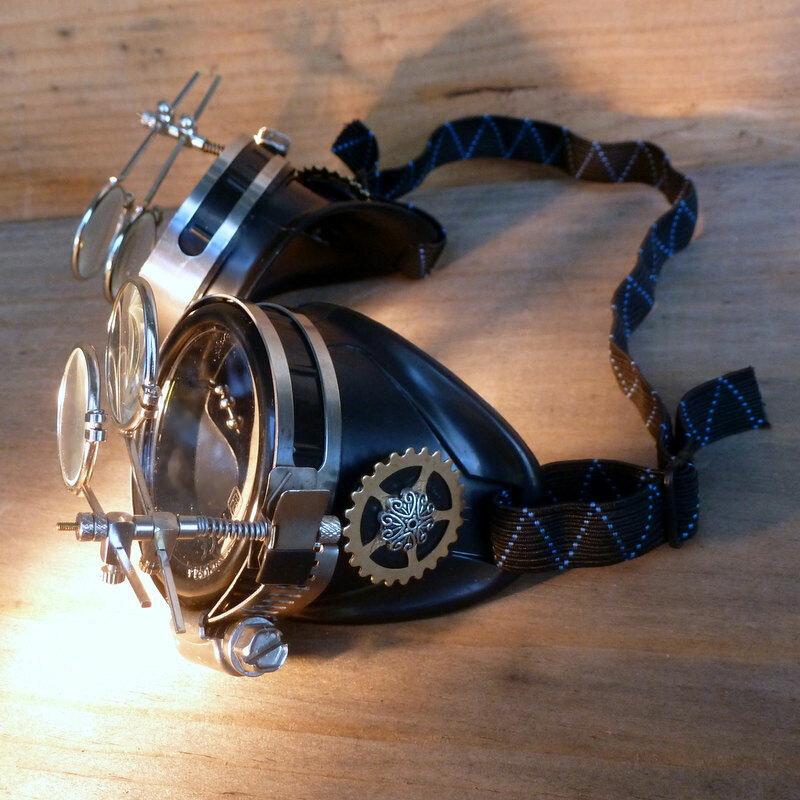 They’re black with a gear and ornamentation on each side. 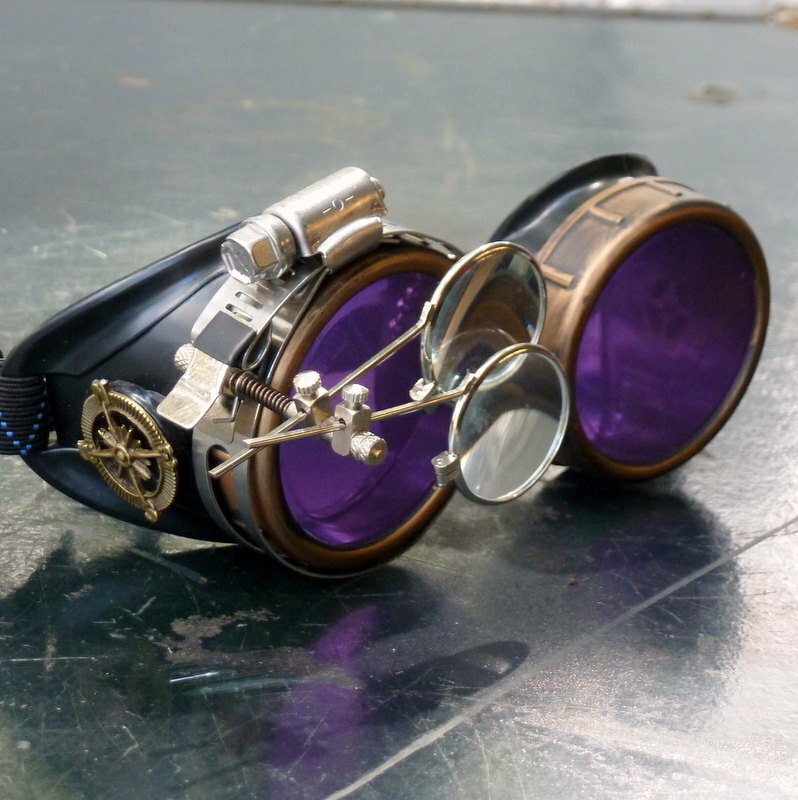 The clip on dual magnifying glasses on each side (4 lenses in all) push these goggles to the next level. 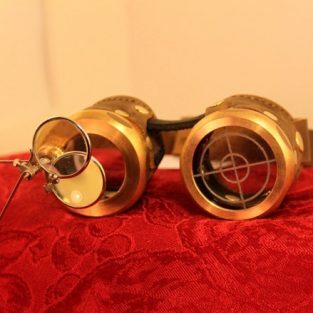 Be the first to review “Anthropologist Goggles With Magnifiers – Clear Lenses” Click here to cancel reply.